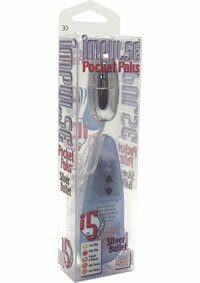 Discreet, powerful, waterproof massager with 4 interchangeable soft TPR tips. 1 AA battery. 4/10 cm. Waterproof. 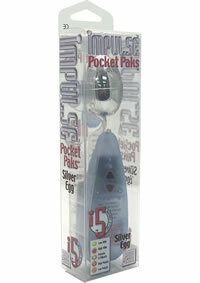 Discreet and powerful vibrating bullet. Multi-speed power dial. ABS with silver/gold plating. Battery included (1 N). 2.25x .75/ 5.75 cm x 2 cm. 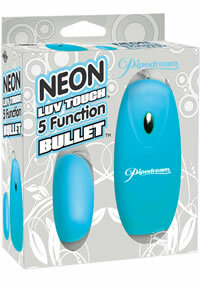 Get just the right touch of satisfaction with this Neon Luv Touch 5-Function Bullet. Lined with our super-soft Luv Touch coating, this powerful little bullet is smooth to the touch, satisfying and ultra sleek. Go from a flutter to a throb with the push of a button and choose between 5 thrilling functions! The ergonomic controller fits comfortably in your hand, and its small and discreet enough to take with you wherever you go.Requires 3 AAA Batteries (Not Included). Playfully Stimulating, the universallydesigned Finger Rings offer the ultimate in controlled pleasure. Attached to a discreet and powerful 5 function massager, the ring gives you the power to determine the rate of heightened exhilaration. The perfect union of vibration and elation is just a fingertip away. Simply insert a finger into the ring controller and with the push of a button you`ll be in complete command of the powerful 5 function massager. 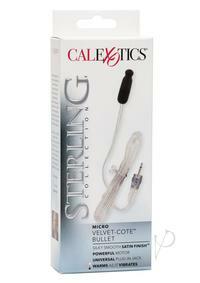 Easy to operate and titillating to use. 4 speeds of vibration. Ultra soft and ultra quiet. Ribbed for increased pleasure.